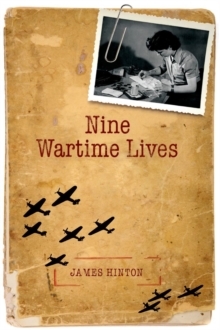 James Hinton uses diaries kept by nine 'ordinary' people in wartime Britain to re-evaluate the social history of the Second World War, and to reflect on the twentieth-century making of the modern self. These diaries were written by some of the unusually self-reflective and public-spirited people who agreed to write intimate journals about their daily activity for the social research organisation, Mass Observation. One of the nine diarists discussed is Nella Last, whose published diaries have been a source of delight and fascination for many thousands of readers. Alongside her there are chapters on eight other Mass Observers, each in their own way as vivid, interesting, and surprising as Nellaherself. A central insight underpins the book: in seeking to make the best of our own lives, each of us makes selective use of the resources of our shared culture in a unique way; and, in so doing, we contribute, however modestly, to molecular processes of historical change. Placing individuals at the centre of his analysis, James Hinton probes the impact of war on attitudes to citizenship, the changing relationships between men and women, and the search for meanings in life that could transcend thewartime context of limitless violence. Consistently sensitive, thoughtful and often moving, this beautifully written book resists nostalgic contrasts between the presumed dutiful citizenship of wartime Britain and contemporary anti-social individualism, pointing instead to longer run processes of change rooted as much in struggles for personal autonomy in the private sphere as in the politics of active citizenship in public life.